Review: As part of the label's 15th birthday celebrations, the Tramp Records crew has decided to serve up some seriously heavy deep funk. Given that the imprint first found fame championing similarly weight, B-Boy-friendly funk jams, it's rather fitting. 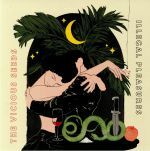 The two showcased tracks come courtesy of St Petersburg band the Vicious Seeds, who have slowly been picking up plaudits since making their vinyl debut in 2016. A-side "Illegal Delivery" is something of a dancefloor beast, with razor-sharp guitars riding sweaty, all-action funk drums and a booming, metronomic bassline. "Happy Lobster", on the other hand, is a little more relaxed but no less potent, with the Russian combo wrapping jazzy guitar motifs around a bustling groove. 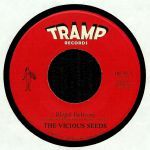 Review: Sizzling funk from the heart of St Petersburg; The Vicious Seeds let rip with their debut 45. Raw, frazzled and just a little garage in its rough and ready sheen, "Sneaker Collector" hits with a meaty swashbuckling feel while "African Spy" is a slower, slight cosmic jam where the wah wah guitars snake around a loose almost jazzy break. Watch out for the key change and try to keep up.